A general rule of thumb when exchanging currency while travelling abroad is to always wait until arrival to make the exchange, unless that happens to be during holidays, weekends or after business hours. After this consideration, there are several ways to ensure the best rates when converting. Be sure to stay up-to-date on exchange rates, peruse bank exchange rates and fees, and know when to use exchange bureaus, though simply finding an ATM may be the best option in many cases. 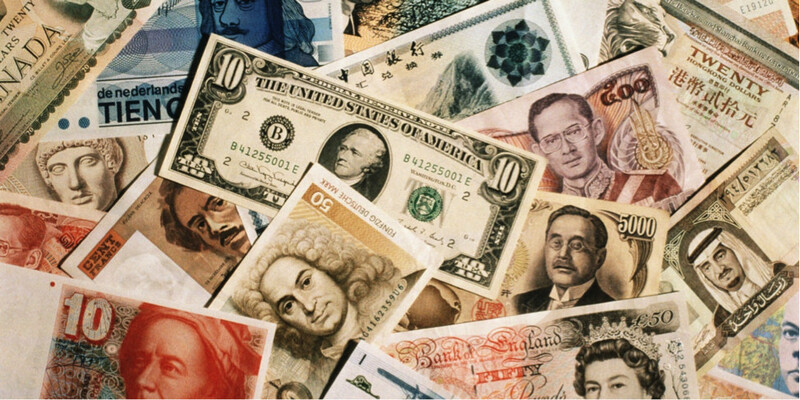 Exchange rates usually do not normally change dramatically, but they do fluctuate from day to day. Of particular note is the wholesale value. as this is the exchange rate between banks and other institutions. While it is usually not possible to snag the actual wholesale rate for travel exchanges, it does provide a goal when looking at the destination for the best rates. The first place many people will likely visit for exchanges are banks, especially if their bank can be found internationally. Banks usually receive the best market rates for exchanges so fees may be lower, though not all banks operate under the same guidelines and cost structure, so it is a good idea to look at multiple banks if possible before finally making the exchange. Exchange businesses can be hit or miss in the grand scheme. Usually, it is not advisable to use one if banks are accessible since exchange bureaus only deal with exchanging currencies and thus tend to charge more money per transaction than other financial institutions, but this is not always the case. In high travel areas in particular, there will usually be many different exchange facilities available that must compete with one another in order to attract and retain business, and this competition can provide much lower fees not only between these agencies themselves but also against travel agencies and banks. Perhaps the best option overall, however, is an ATM. With nearly one million ATMs installed around the world, with at least one on every continent, the likelihood of this simple device being within range is high. In addition to accessibility ATMs, since they're served by banks and credit agencies, often receive the most beneficial currency exchange rates on the market and allow travellers to pull just the right amount of money from their own accounts. ATMs also benefit by not charging in-person service fees or counter fees that will be encountered at local banks and exchange agencies. Though they often charge transaction fees, especially if it is an ATM operated by a competing banking institution, these fees tend to be lower than those that would be encountered elsewhere. Just make sure when using an ATM for currency exchanges to limit the number of transactions performed or else those fees will compound quickly. When travelling abroad, whether to the US or elsewhere, the ultimate goal with currency exchanging is to get the best conversion possible. To ensure this goal, keep track of exchange rate changes and compare banks and exchange agencies to find the best prices. Don't forget to use ATMs if possible, and always make sure to convert once arriving, not before leaving, if the timing of the trip permits it.